A riding vacation beats a driving vacation every time. 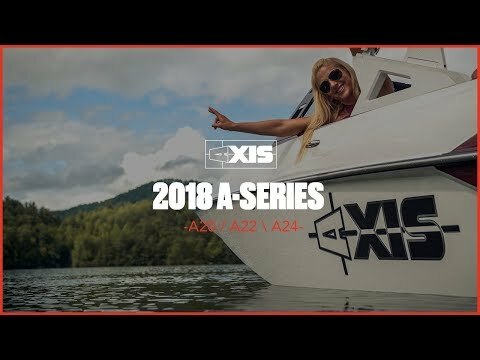 The Axis A24 can take your crew to a watersports adventure that none will forget. But prepare to be noticed. The A24 gets an all-new side profile for 2018, so it looks sportier than ever. Interior upgrades include a track bench seat to maximize room in this 17-seater. This is our biggest boat, with big storage and a huge 450 lb-ft of torque from the 6-liter Monsoon engine. But it handles like our smaller models. For the first time, we now offer the Power Wedge II as an option. Just push a button to adjust the wake with ease and add an additional 1,500 lbs. of ballast.